Golf season is nearly upon us with the 2017 Open Championships due to start soon. In light of this, we’ve looked at some of the most innovative technology that might be changing the landscape of golfing, as well as improving your swing and tracking your progress. This Bushnell rangefinder features PinSeeker Technology with JOLT. This will provide you with short vibrating bursts to reinforce that the laser has locked on to the flag so you know you are not getting a distance to a tree in the distance. Thanks to its accuracy, you can be assured that you will get a distance that within 1 yard of your target. The 5 x magnifications makes it even easier to lock on to your target from longer distances, while it can lock on to targets ranging from 5 yards to a 1000 yards. 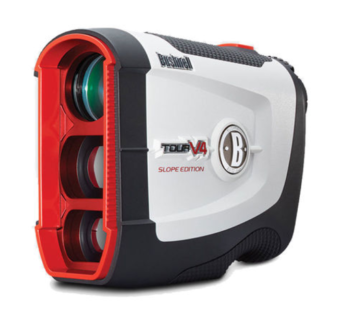 This Bushnell Tour V4 also has a posi-Thread battery door with a rainproof construction, 3-Volt CR2 battery and premium carry case included. This watch benefits from a intuitive user interface. This offers colour CourseView mapping and PlaysLike Distance for uphill and downhill shots across more than 40,000 golf courses worldwide. It also features AutoShot game tracking by measuring your shot distances and automatically updating to Garmin Connect for post match analysis. 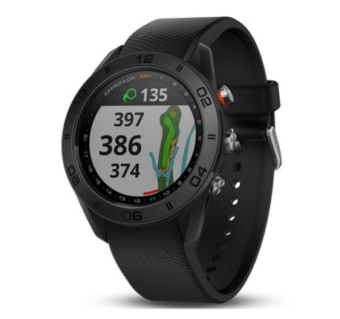 This watch also helps you keep track on and off the course with smart notifications and everyday tracking activity. With over 40,000 courses world wide, including free updates, you will be able to take on any course with this device as your caddy. 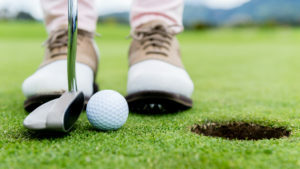 It can be adjusted to uphill and down hill shots, receive e-mails if your a business person on the go and offer club advice by remembering how far you hit each club. The G8 also benefits from – touch targeting, manual pin placement, colour-coded layup arcs, a 15 hour battery life, and Wi-Fi. 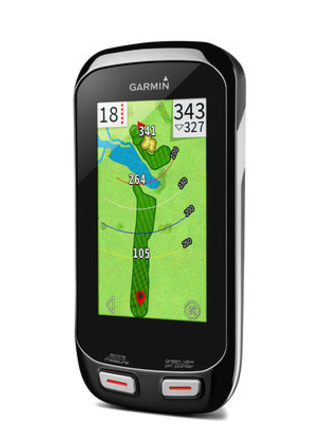 It also connects to Garmin Connect Golf to share and compare stats. This trolley is extremely easy to set up and even simpler to control. As well as great fun to use on the golf course, the X-Series is a product that will help your game by allowing you to walk the course unencumbered by your equipment. With the X9 Remote, all you do is walk. The new rechargeable handset has been created with the same compact handset case, but integrated a large lithium battery. This can be charged via a port on the right hand side. The lithium battery means that you won’t have to replace the battery for a long time. 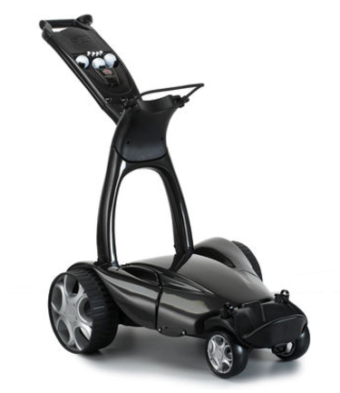 This superb Stewart Golf X9 Remote Electric Trolley also provides complete remote control functionality. This is ideal for when you go slightly off course, such as going into rough, bunkers or when you reach the green and you want to send the X9 Remote to the next tee. With a radius of up to 50m you can send the trolley up and down, steer it left or right and stop using it with the glide stop or emergency stop buttons. If you prefer to have your trolley in front of you, you have the option of another setting called ‘cruise control’ to set speeds to suit your walking pace. The first personal launch monitor of its kind, SkyTrak Personal Launch Monitor & Simulator is a realistic and real-time golf practice and play system. 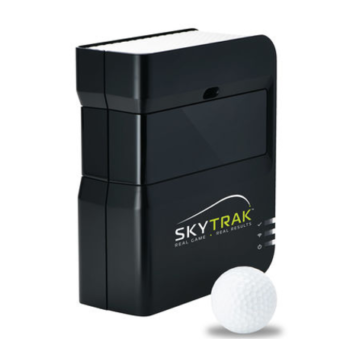 SkyTrak connects wirelessly to your iPad, then captures and displays launch data and ball flight as soon as you hit the ball. See the ball fly and receive instant feedback on every shot. SkyTrak’s unique design is completely wireless, giving you the freedom to play anywhere. 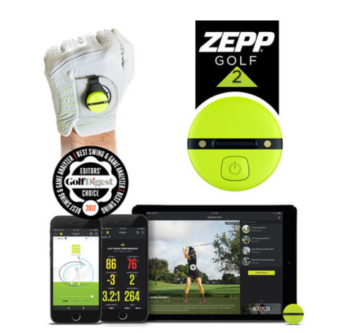 Zepp 2 is the worlds most powerful swing analyzer, with innovative features all designed to make your training personal. Improve your game faster than ever before by just attaching the sensor to your golf glove. With Zepp, practicing your swing becomes a source of game-changing insights and improvements. You can go out and play on the course and get all the data of your swing afterwards. See how to break through to the next level and consistently hit more fairways and greens. Review your swing in 3D from any angle, the device measures all of your important swing aspects: club speed, hand speed, club plane, tempo, back swing length etc. There is also a auto video capture feature to compare your swing with data. Receive instant analysis and evaluations on the golf course and on the range. Just take a few swing and Zepp will process thousands of data points to identify the right training program, just for you. Then Test your swing too see how much you’ve improved and where you should focus you training next.